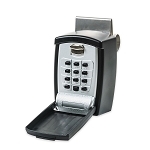 These key boxes allow you to securely store a spare key on your car, SUV or RV that is easily accessible - if you know the combination.The lock boxes for cars are easy to code, install and use. However, they are not appropriate for the newer proximity key fobs as they do not block the signals. We have recently added a new product from LuckyLine. 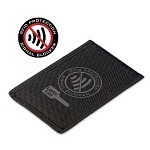 Their RFID Blocking Storage Pouch which will securely store your car key fob and protect it from hackers.